John Henry Strode Batten was born at Aldon, Yeovil on 23 December 1875, the elder son of retired soldier and farmer, Colonel John Mount Batten, CB, JP, Lord Lieutenant of Dorset (1843-1916) and his first wife Margaret Annie née Brooks (1854-1893). John Jnr was the grandson of John Batten the Younger of Aldon. John and Margaret were to have six children; Grace Amy (1874-1968), John, Nathaniel Prygge (b1882), Winifred Elleanor (b1883), Frances Maud (b1887), and Catherine Constance Mount (1889-1934). In the 1881 census John and Margaret were listed at Cank Cottage, Up Cerne, Dorset, with children Grace and 5-year old John, as well as three servants. John gave his occupation as 'Capt. Army, JP for Dorset, Farmer of 1,100 acres Employing 31 lab(ourers)'. John was educated at Rossall and Trinity Hall, Cambridge, and after taking his BA degree, was gazetted to his father's old corps, the King's Liverpool Regiment on 20 May 1899. He was promoted to Lieutenant on 21 March 1900 and Captain on 1 December 1909. He served through the South African War, 1899-1902, being employed with the Mounted Infantry, and later was a Supply Officer. He took part in operations in Natal, 1899, including actions at Reitfontein and Lombard's Kop. John was involved in the Defence of Ladysmith, including the action of 6 January 1900, known as the Battle of Wagon Hill, during which the British suffered 175 killed and 249 wounded. 52 dead Boers were left in the British positions, but their total casualties were not recorded. 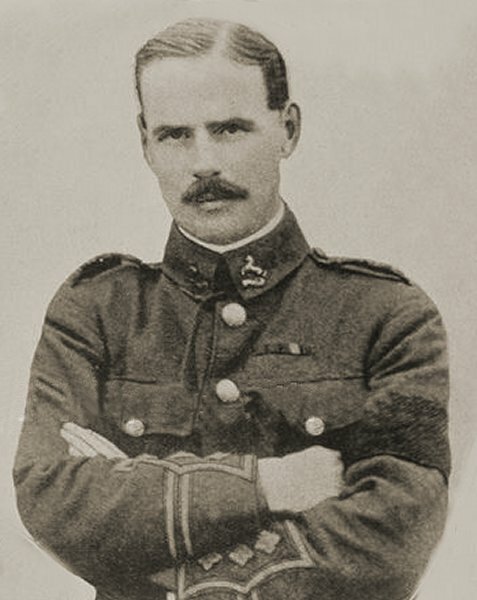 Between March and June 1900 he took part in the operations in Natal, followed by operations in the Transvaal from December 1900 to October 1901. This was followed by the operations in the Orange Free State between October 1901 and 31 May 1902. 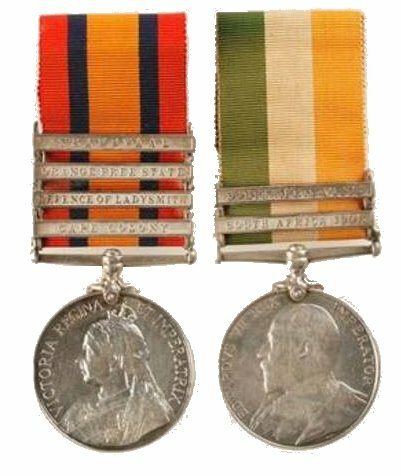 For his service in South Africa he was awarded the Queen's South Africa medal with clasps for Cape Colony, Defence of Ladysmith, Orange Free State and Trans Vaal, as well as the King's South Africa medal with clasps South Africa 1901 and South Africa 1902 (see Gallery). 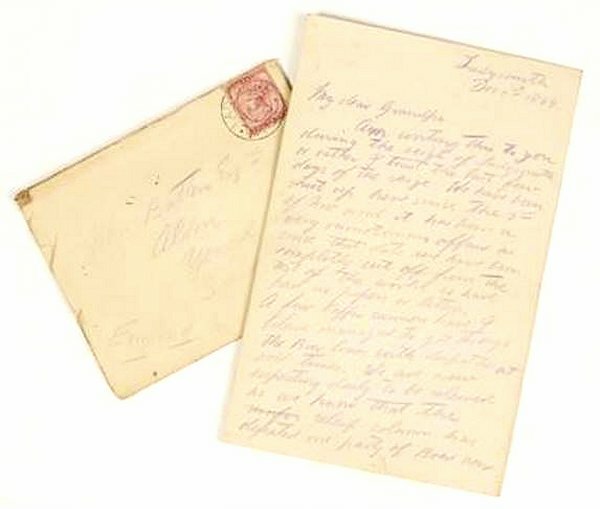 During the Defence of Ladysmith, John wrote a letter in pencil (see Gallery) to his grandfather which reads "My Dear Grandpa, I am writing this to you during the siege of Ladysmith, or rather, I trust, the last few days of the siege. We have been shut up here since the 2nd of Nov, and it has been a very momentous affair, as since that date we have been completely cut off from the rest of the world, so have no papers or letters. A few runners have I believe managed to get through the Boer lines with dispatches at odd times. We are now expecting daily to be relieved.... I expect soon to hear of a big fight outside here and then relief. To describe the siege, it is enough to say that one day is exactly the same as another. We get up at three thirty am, parade at four am, stand about ready to march off to assist attack til daylight has fairly dawned. The rest of the day we build and repair our fortifications.... and lie under shields constructed against the enemy shells. Our battalion find three companies for outpost duty when we remain shut up in trenches for five days until relieved. Am on outpost duty now. Sometimes we often have to work at night as it is pretty safe from shelling. Then lately we have been chiefly suffering from having nothing to do all day, as the walls are all built so we lie in the trenches and chase away the flies which are a regular plague here. I am glad to say I am fit and well. Was under fire for the first time at the battle of Intinaymi. Felt a bit shaky at first but soon got used to it. Boers have been shelling the camp daily (except Sundays). Since the beginning of the siege we have lost one Sergeant and nine men. It is surprising how little damage their shells have done considering the number of shells that have been dropped. Grub and drink are getting scarce. Find the heat terrific and it is not mid-summer yet. Will write again better, but thought you would like to hear word so please excuse the scrawl. With best love to Uncle Harry and Yourself, Your Affectionate Grandson J H Strode Batten." After the outbreak of the Great War in August 1914, he went to France with the first Expeditionary Force and it was reported that "he consistently did good work". He was mentioned in Sir John French's Dispatch of 8 October 1914 (London Gazette, 19 October). "On a particular occasion" 20 September, during the Battle of the Aisne, his Brigadier said "quite regardless of himself, he encouraged and steadied the men on the right of his battalion, and of the brigade when very heavily attacked, and when the situation at that point was critical. It was owing to his very gallant conduct on that occasion that the portion of the line held its own." John Batten was killed in action on 25 October 1914, being shot through the heart while on his was from the trench to confer with his Commanding Officer. He was aged 39. General RH Davies wrote "I should like you to know that he was looked upon by all who knew him as one of the very bravest of the brave, and that by his exceedingly gallant and cool conduct at the Battle of the Aisne he did a great deal to stop a rush and prevent what might easily have proved to be a disaster to our part of the line." Colonel Stevenson wrote "He saved the whole line on 20 Sept. just by his grit. Nothing could move him from the line he had to take up in that awful wood fight when Kyrke Smith and others were wounded.... He was killed outright crossing a small gap in a hedge by some men hidden in a house about 500 yards away.... We buried him that night beside the Colonel in an orchard close to a farm outside the village where he was shot." 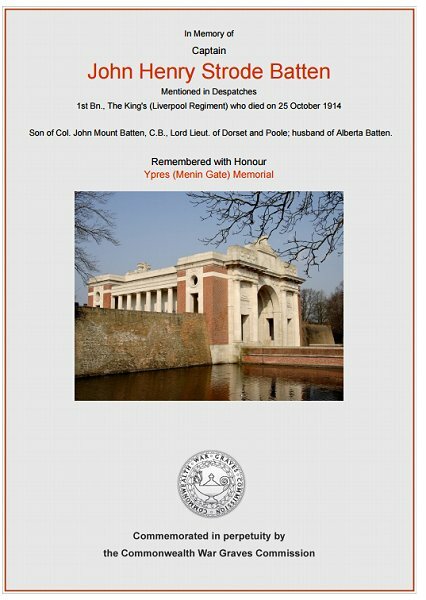 John Henry Strode Batten is commemorated on Ypres (Menin Gate) Memorial, West-Vlaanderen, Belgium. His name was added to the War Memorial in the Borough in 2018. 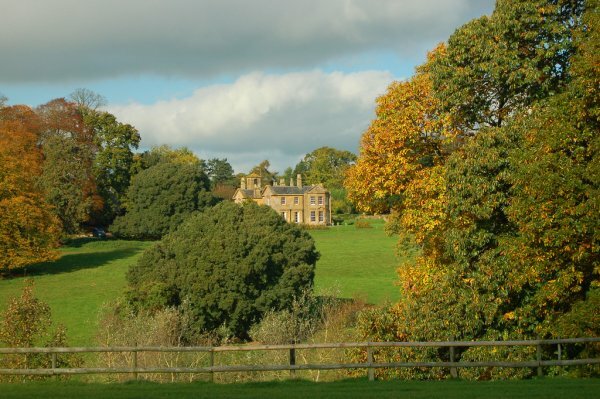 Aldon, birthplace of John Batten, set within its extensive parkland. Photographed in 2009. John Batten's medals awarded for his service in South Africa; the Queen's South Africa medal with four clasps and the King's South Africa medal with two clasps (as described above). The letter, referred to above, written by John to his grandfather during the Siege of Ladysmith. The Commonwealth War Graves Commission certificate in memory of John Batten.